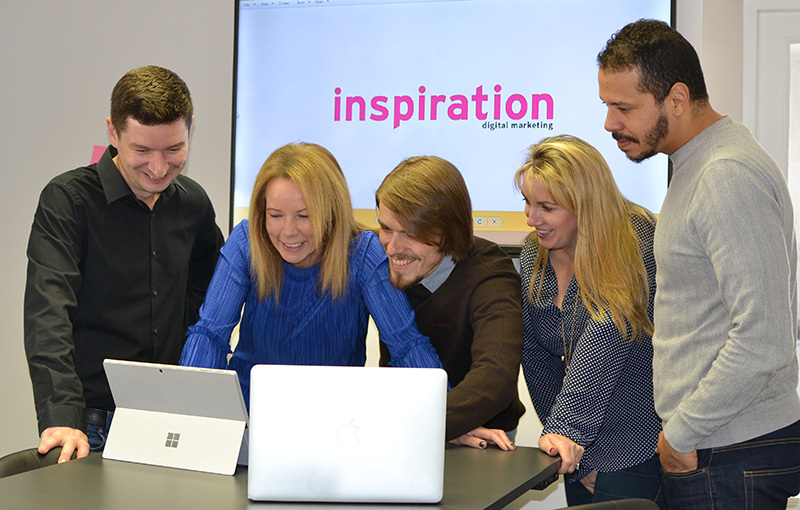 Established in June 1999, Inspiration are experienced, dynamic Digital Marketing Agency. Core digital marketing services and expertise include Digital Marketing Strategy, web design, search engine optimisation, email marketing, content marketing and Google Adwords management. We work with clients across many sectors – Small to Medium Sized Enterprises (SME’s), Exporters, Multinationals, Not for Profit organisations and Government agencies. Our customers include Allianz, Sunway, Enterprise Ireland, Spectac International, Meritec, Windmill Lane Studios, Finline Furniture, Brixworkwear, The Big Red Book and many more. As a leading Digital Marketing Agency servicing Irish SME’s we ensure your digital marketing strategy and web design are optimised to reach your target audience effectively. We research your sector and competitors to identify online opportunities and deliver a digital marketing strategy suited exactly to your business needs. Inspiration is a member of the Irish Internet Association (IIA).